Newborn Photography: Studio vs. Lifestyle? 10 Jan Newborn Photography: Studio vs. Lifestyle? 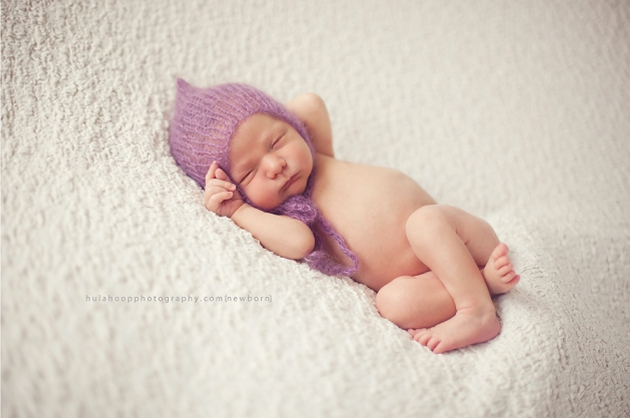 A sweet nudie little babe all sleepy and curly on a soft blanket backdrop wearing an adorable little knit hat or wrap. These kinds of posed newborn photographs have become synonymous with the term “newborn photography” over the past five or so years. I love them. We all love them. There is something so serene and pleasing about a brand new life. A baby only days old sleeping peacefully all curled up and comfy just as they recently were in utero. Of course as a newborn photographer myself I definitely offer this style of newborn photography to my clients in the Waterloo area and beyond. I do however also offer an alternative type of newborn photography, which is a little lesser known, but just as beautiful and amazing as an in studio newborn session. Lifestyle newborn photography is becoming one of my all time favourite sessions that I offer to my clients. I’d love to take some time to introduce everyone to this style of newborn photography and go over the many benefits that this relaxed take on a newborn photo session has over it’s in studio counterpart. Time: Timing is everything when it comes to newborn photography. For an in studio newborn baby photo session I like to try and get the babies into my Cambridge Studio before they are two weeks of age. When we are looking to obtain those sleepy, posed shots the younger the baby the better. A baby that is fresh and new is much more likely to provide me with a deep sleep allowing me to work with their tiny bodies to achieve those uber adorable shots. They are also very flexible at this age and quite enjoy being curled up and cozy while asleep just as they were in utero. Time is also key during an in studio newborn session because it’s important that we wait until the baby is settled into that nice, deep sleep before I start to work with them. This process can be lengthy and patience is everything. I have had many sessions where it has been two hours before the shutter has been released as we are waiting on baby to get comfortable and settled. However, during a lifestyle newborn session the element of time does not hold as much weight. The lifestyle newborn shoot focuses primarily on the interaction between the new baby and his family and surroundings and is much less centred around obtaining the perfect pose. Therefore having a baby under two weeks of age become less important. This is particularly helpful for Mothers who contact me once their newborn baby is over that magic age for traditional newborn photography. Just because a baby is a little “older” it no longer means you have to miss out on those precious newborn moments! Location: The location for your upcoming newborn session might also have you thinking about whether a studio photography session or a lifestyle shoot is the choice for you. All of my studio sessions are conducted in my in home newborn studio in Cambridge, Ontario. I have everything here that I need in order to provide you with a great experience for your baby’s first professional photo shoot! My studio is stocked with all of the props, back drops and posing tools that we need. The space has great light and is small so that it can be kept nice and warm to keep your baby comfortable during her session. Parents have a cozy spot to relax, grab a refreshment and watch TV during the shoot. All in all it’s a great place to come for your newborn photo session. However the thought of travelling with a newborn can be daunting for some new parents. Lifestyle newborn sessions are conducted in the comfort of the clients home. Having your photo session take place in your home provides a level of intimacy and a personal touch to your lifesytle images that might be missing from your studio session. Imagine having images of baby in her own nursery or snuggling with Mama in their favourite chair. Documenting beloved books, toys and that surely wonderful wardrobe some babies acquire before they are even here?! These small details make your newborn’s photos even more special for years to come! Connection: Of course most clients also want to capture some darling images of their new family dynamic during their newborn photo session. Whether it be photos of baby with Mom, Dad, big brother or sister or all of the above, these treasured family photos can be obtained during both studio sessions AND in home lifestyle sessions. However the resulting look is completely different. Which you prefer is entirely up to you….. Seeing the Light: It is true that during a studio session the light is controlled. I know what to expect in my home studio. I know that the light comes in big and beautiful at a certain time of day and that my itty bitty newborn clients will be sleeping peaceful, bathed in the window light during their stay with me. An in home lifestyle session cannot obviously offer the same kind of assurance. Clients often come to me concerned that their home will not be bright enough, not be pretty enough. The session below was shot almost entirely in the master bedroom of this new family’s Toronto home. This particular room in the house worked extremely well for two reasons. First it was bright and beautiful. The large window provided up with beautiful soft light which made shooting in that room easy and gave the photos an airy feel. Secondly the room was neutral. The white bedding and walls gave us a gorgeous and non distracting backdrop to work with making the baby and his family the focus of the session. The fact of the matter is, if you have one or two great, bright rooms in your home we can use them to our advantage to provide you with a gorgeous set of very personalized newborn photos that you will enjoy for years to come! SO there you have it. A little 4-1-1 on the difference between your studio newborn sessions that we all know and love and the lesser known newborn lifestyle sessions that hopefully we will all get to know and love just as much, if not a wee bit more! And the very best part of a lifestyle newborn session….if baby sleeps then we can still get those ooey gooey posed newborn shots…no matter where we are! Lifestyle newborn is all I do now. It is so much more fun and to me more meaningful because they are so much more personal. Great blog post!